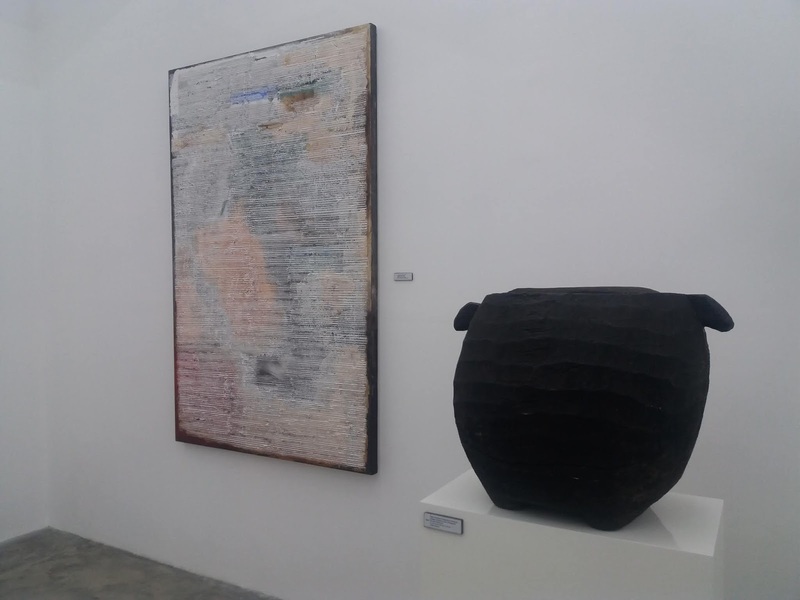 This February 16, 2019, there will be an impressive collection of traditional Cordillera pieces that will be seen in public alongside artworks by 20th and 21st-­‐century Filipino abstract artists. For the first time, the Bulul rice gods from Ifugao tribes will be shown in a gallery art scene in the Philippines, with Ivan Acuna abstract paintings as backdrop. 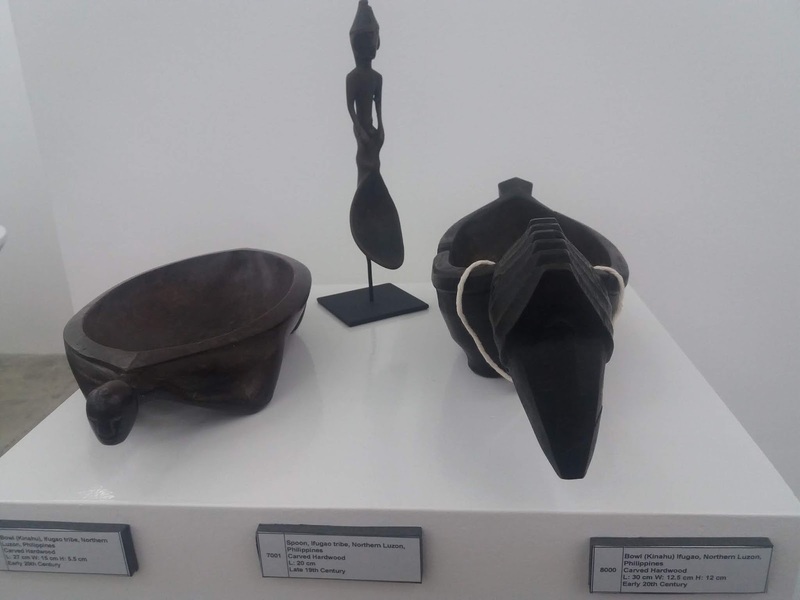 Owned by Hong Kong-­‐based AsianArt:Future (AA:F), which is chaired by Swiss Martin Kurer, this exhibit gives a fascinating insight into the rites of our indigenous tribes and into the skills of Ifugao craftsmen. Some of the collection pieces will be on display at 1335 Mabini in Karrivin Plaza, Pasong Tamo Extension, Makati City. 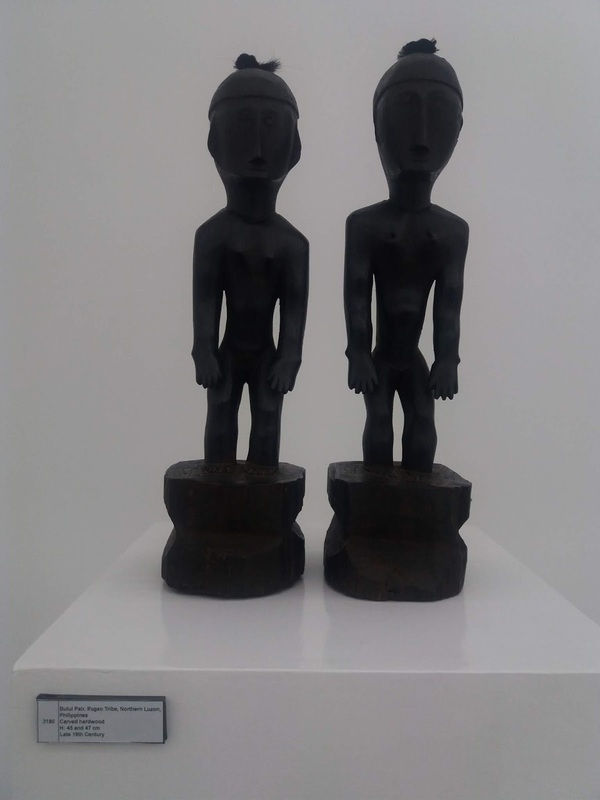 Aptly titled “JUXTA:POSITION”, the exhibition comes as a result of Kurer’s particular interest in the universal and widespread use of the aesthetics of reduction, something present he says in the carved wooden figures or bulul, which are closely associated with the Ifugao peoples of Northern Luzon. Moreover, a three­‐part book, JUXTA:POSITION (The Aesthetics of Reduction), will be made available to the public. In the said book, Kurer goes into greater detail on the aestheticism of the carvings of the Cordillera peoples, which he says can also be perceived and described utilizing an artistic vocabulary similar to the one of the Abstract Art movement. 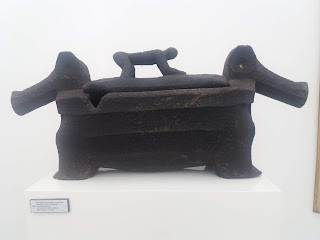 The second and third parts highlight the bululs, boxes, kinahu, and spoons of the Cordillera peoples, mostly from the 19th century and earlier, and a number of abstract paintings from Filipino artists, as photographed by At Maculangan of Pioneer Studios, Manila. Similar exhibitions have been done before by the Museum of Modern Art, New York in 1988 and accompanied by William Rubin’s catalogue “The Primitivism of Modern Art”, and in 2009 at Fondation Beyeler in Riehen/Basel titled “Visual Encounters, Africa, Oceanic, and Modern Art”, which showed tribal masterpieces alongside works of Vincent van Gogh, Paul Cezanne, Vassily Kandisnky, Rousseau, Constantin Brancusi, Henri Matisse, Piet Mondrian, and Mark Rothko. 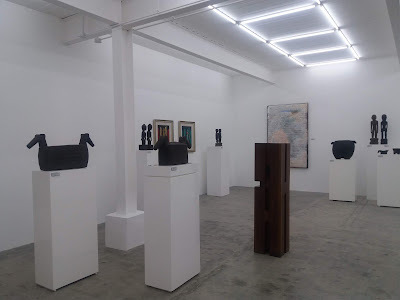 More recently, the exhibition of Les Collections Barbier-­‐Muller “100 Years of Passion” showed tribal art pieces from Africa and Oceania in the context of contemporary art of Baselitz, Jeff Koons, and others. What will be interesting and why you should see this exhibit is that each bulul, a box or bowl from AsianArt:Future’s collection, most of which were gathered from old collections, assembled in the last century, will be shown with a corresponding artwork from José Joya, Federico Aguilar Alcuaz, H.R. Ocampo, Lee Aguinaldo, Cesar Legaspi, Arturo Luz, Fernando Zóbel, Lao Lianben, and Gus Albor, who created a painting specifically for the exhibition. Kurer invites the audience to look at the partnered pieces and perhaps spark a dialogue on the aesthetic vocabulary of the two genres of artistic creation, which, on the face of it, may not have much in common. Through the simplicity, directness, discipline, the reduction to the essence, understatement, and the ability to show a hidden reality, it does according to Kurer. This approach, Kurer adds, is not to subordinate traditional Cordillera art to the viewpoint of “modern” or “fine” art point of view but to allow both sources to be looked at on the same level. In the January/February 2017 edition of Asian Art Magazine, AsianArt: Future published an article that looks in detail into the art of the Cordilleras people and their counterparts around the globe. The write up points out that pieces they have created match the quality of the pieces of African and Oceanic tribal art. Kurer also published a book titled Simplicity.Ifugao Sculpture.Power (Hong Kong University Press/Columbia University Press). As a collector, Kurer remains fascinated by the fact that artists from different continents, with very distinct cultural heritages, and from very different epochs, could end up employing—or be perceived to be employing—very similar aesthetic approaches and furthering this dialogue is what he hopes the exhibition will achieve.